Oahu is the third largest (604 square miles) and most populous island. Nicknamed ‘The Gathering Place,’ the capital island is home to nearly three-quarters of Hawaii’s residents. Landing at Honolulu’s airport plunges you into the urban jungle, but relax – this is still Polynesia. Whether you choose Honolulu, the Windward Coast, Leeward Coast or North Shore, your vacation will be exciting as well as relaxing during your Oahu villa rental stay. Oahu has plenty of things to do. 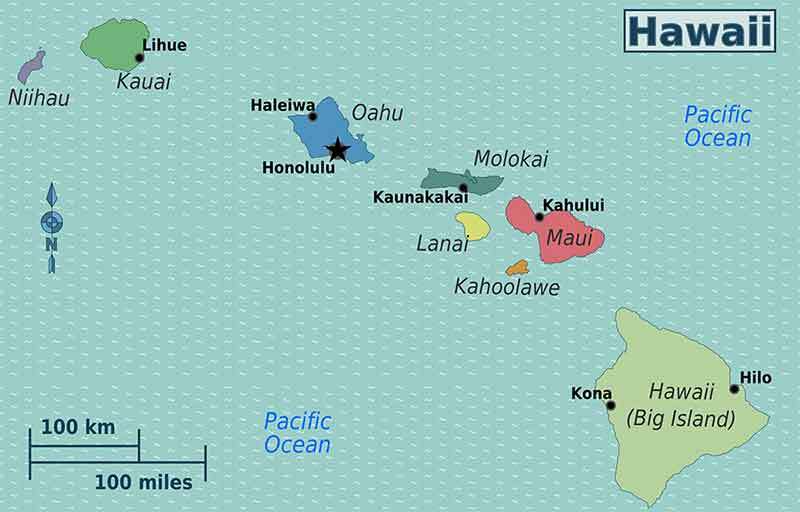 The location for series such as Hawaii Five-O, Dog and the Bounty Hunter and Magnum PI is Oahu, so if you’re into pop culture, this island is the place to visit. If history peaks your interest, some of Hawaii’s most notable attractions, particularly Pearl Harbor and the USS Arizona, are also located on Oahu. On the island of Oahu, learn to ride the wave in Waikiki where surfing was born or catch big waves on Oahu’s famed North Shore where there are lots of spectacular Oahu villas to choose from. The North Shore is the Hawaii of Hollywood -- giant waves, surfers galore, tropical jungles, waterfalls, and mysterious Hawaiian temples. If you're looking for a quieter vacation, closer to nature, and filled with swimming, snorkeling, diving, surfing, or just plain hanging out at your private Oahu vacation villa, on some of the world's most beautiful beaches, the North Shore is the place for you. The windward side is the opposite side of the island from Waikiki. On this coast, trade winds blow cooling breezes over gorgeous beaches. Oahu villas, ranging from oceanfront estates to quaint cottages, are everywhere. Vacations here are spent enjoying ocean activities and exploring the surrounding areas. Waikiki is just a quick 15-minute drive away. Oahu is much more than a transit point en route to the neighboring Hawaiian Islands. It’s the thrill-of-a-lifetime adventure. Here you can surf the North Shore’s giant waves, hike atop knife-edged Pali (cliffs), dive into Hanauma Bay’s outdoor fishbowl, go windsurfing or kayak to uninhabited islands off Kailua. You will have plenty of time to return to your luxury Oahu villa for a gourmet dinner of local cuisine. Oahu is one-stop Hawaii where there is a wide array of Oahu villas. All the allure of the Islands in a fun mix that has you kayaking around offshore islets by day and sitting in a jazz club around midnight, all without ever having to take another flight or repack your suitcase. It offers both the buzz of modern living in jam-packed Honolulu (the state's capital) and the allure of slow-paced island life on its northern and eastern shores. It is, in many ways, the center of the Hawaiian universe.